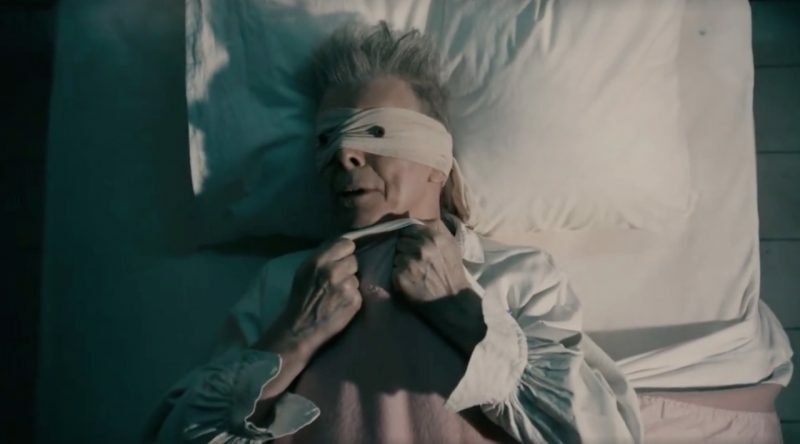 David Bowie has unveiled a 30-second trailer for his upcoming short film “Blackstar”, also the name of the first single from his new LP out January 8th. The creepy teaser sees a young woman walking the ruins of an old city, a bejeweled skull, men convulsing/dancing to the beat of a drummer, people crucified on scarecrow posts and, finally, Bowie himself, holding a black star-adorned book and staring into the sky. The video was directed by Johan Renck and it will also premiere November 19th.